Buckwheat is a gluten-free product which could be considered a functional food due to its nutritional and biological value. 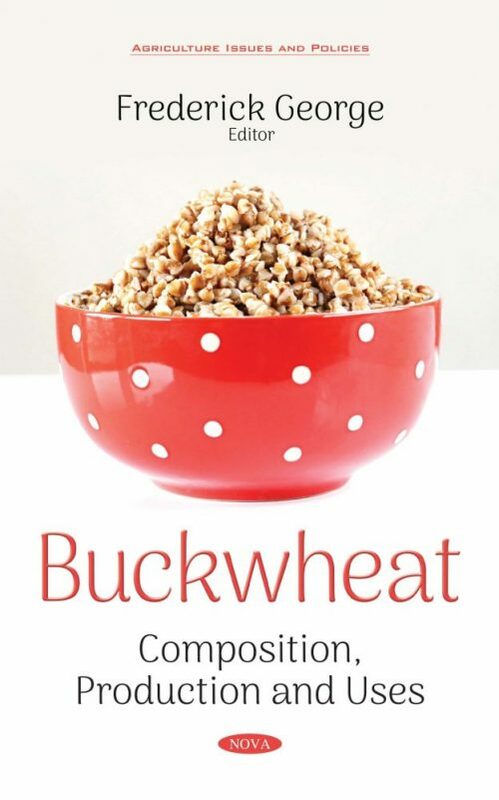 In Buckwheat: Composition, Production and Uses, the authors begin by analysing the chemical composition and technological properties of common buckwheat flour produced in Latvia, as buckwheat flour could be used as a base ingredient for new product development taking into account its nutritional value and technological properties. Recently, hybrid, self-compatible, common buckwheat seeds have been obtained via heterosis breeding. In one study, the authors found that growth and yield were not significantly affected by the presence or absence of fly pollinators in either line, and growth and yield in the hybrid line were higher than those in the self-compatible line. These genotypes play an important role in improving seed yield, seed quality, and cultivation techniques for buckwheat. The introduction of buckwheat into Mediterranean regions would help to placate the rising consumer demand for healthy food with a low environmental impact. Thus, the authors set to explore the production of vegetative biomass and grain in response to sowing date and irrigation; the quality of forage obtained from buckwheat; the influence of photothermal conditions on flower and seed set, and the potential invasiveness of buckwheat. The next chapter offers an overview of light and wholegrain buckwheat flour in different formulations to obtain value-added products with determined rheological characteristics of dough as well as nutritional, functional and sensory parameters of the final products. The described products belong to bakery, pasta and confectionary product categories. Lastly, the authors propose that buckwheat can be a major ingredient of gluten free food products for people with celiac disease. Also, the demand for rutin and other flavonoids extracted from buckwheat is growing in food, pharmaceutical and cosmetic industries due to their desirable physiological activities, and their antioxidant, antinflammatory and antihypertensive properties.